If you’ve ever wondered how your staff treats customers when the boss isn’t around, evaluate them with the Mystery Shopper program. The Drycleaning and Laundry Institute (DLI) is proud to bring you this valuable service in concert with MarketWise Consulting, an organization founded in 1994. An honest and clandestine look at how things work when the boss isn’t personally onsite or within earshot, “The Mystery Shopping program evaluates and scores front line and cleaning services offered by member companies,” said Carolyn Nankervis, president of Marketwise Consulting Group, Inc. (Some business owners and managers announce to their staff that Mystery Shopping program is in effect, whereas others keep it a secret, to be revealed at the next employee meeting.) After signing up and indicating the opening hours of your business, a Mystery Shopper will visit your store, gather information, then share the results of the survey with you – and you alone! At its core, the Mystery Shopper program involves a person who works for independent and impartial MarketWise pretending to shop at the store or stores of your choice – at an unknown and unpredictable time of day. (Unpredictability is a key element of the Mystery Shopper program; the possibility of surprise inspections is sure to keep your staff-members on their best behavior from the start of a shift until it ends.) The MarketWise worker will approach the counter like any other customer and drop off one or more items to be drycleaned. During his or her interaction with your staff, he or she will keep track of a variety of different metrics, probably including but not limited to these: if or if not the employee was wearing a name badge; how well-groomed, well-spoken, and polite the employee was; whether or not there was an attempt to upsell or cross-sell a service as well as an offer to join a newsletter or email list; and the employee’s mastery over or incorrect use of in-house drycleaning terminology, pricing, and estimated turnaround times. “By offering in-store visits we’re able to give you a better service,” said DLI CEO Mary Scalco in reference to the Mystery Shopper program. In-store visits provide a wealth of information about employee behavior and store appearance, exposing both the best and the worst about the customer’s experience. They’re also tailorable to your whims, meaning that you can have a general survey performed, or target specific issues. According to its website, MarketWise Consulting Group, Inc., uses an account manager system, which means that one staff member is responsible for your entire project. This focus allows for in-depth knowledge of your goals and objectives and provides a single point of contact to the Mystery Shoppers assigned to your project. After the visit, your MarketWise contact person will compile a detailed report about the shopping experience at your operation. The report will then be sent to the business owner or manager who requested it, a trove of valuable information about how employees truly treat customers. On top of the specific store or branch report, MarketWise publishes industry-wide Peer Group Data Comparisons twice a year. These Comparisons rank businesses according to the metrics gathered during the Mystery Shopping program and are considered the benchmark for service standards across the drycleaning industry. By carefully analyzing Peer Group Data Comparisons, business owners and managers can get important information about how they stack up against the competition and where to focus their training or retraining efforts. Success in business hinges upon how well customers are treated from the moment they enter the front door until the moment they walk out again. And since success in the drycleaning game hinges upon a repeat clientele, gaining detailed and unbiased insight into how the people who entrust you with their prized wearables are treated is worth the investment. Don’t wait until customers start complaining on an internet review website to investigate a training shortfall or issues with an unmotivated staff-member. With this valuable service from MarketWise, you’ll be able to make sure your customer service efforts are in the best shape possible, no matter if you own or manage one single location or a string of stores. 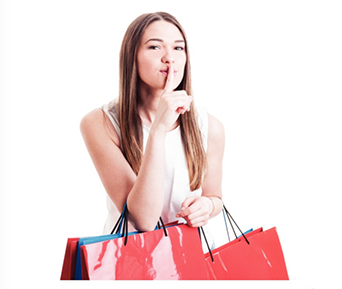 The Mystery Shopper service is available exclusively to DLI members. For more information and to set up a round of Mystery Shopping at your business, email marketing@marketwi.com or call 1 (800) 638-2627.